One of government's top priorities must be protecting taxpayer dollars. Unfortunately there have been reports of people abusing Colorado's public assistance electronic benefits transfer (EBT) cards. EBT cards are government-issued debit cards issued to qualifying low-income families to purchase essential goods like food, clothing and help pay for services like utilities and rent. However, news reports have detailed instances where these cards are being used in overtly non-essential places such as liquor stores, gambling facilities, and strip clubs. Current law prohibits EBT cards from being used at these types of places, but measures were not in place to stop the cards from being used to withdraw cash from any ATM, including ATM's inside these facilities. Any misuse of taxpayer monies concerns me, but especially when those funds are suppose to benefit some of those most vulnerable, and in response, I carried House Bill 1255 this last session. This legislation, which was signed into law on May 1st, strengthens abuse prevention and seeks greater enforcement of EBT card rules and regulations. House Bill 1255 requires the Department of Human Services (DHS) and the Department of Revenue (DOR) to establish enforcement protocols to ensure EBT card recipients are abiding by current laws. Both DHS and DOR are then required to periodically report back to the General Assembly on the effectiveness of these protocols and instances of EBT card abuses. 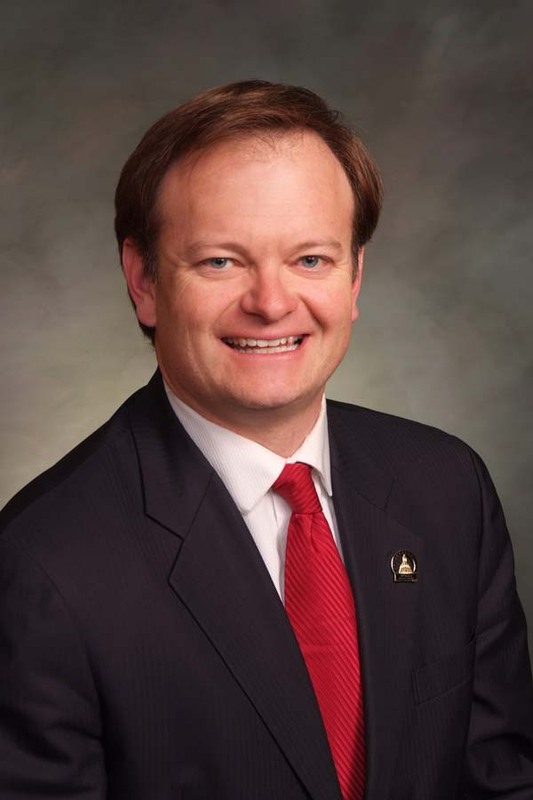 Colorado's EBT card program is designed to help families who need assistance and abuses only deplete funds for much-needed goods and services. With House Bill 1255 signed into law, I am hopeful we can curtail some of the abuses in this program and ensure our public assistance program is accountable to the taxpayers and fraudulent misuse is prevented. Thank you for taking the time to read our newsletter and I encourage you to address any concerns with your respective representative. You can keep up with all of our updates by following us on Twitter, liking us on Facebook or visiting www.cohousegop.com. 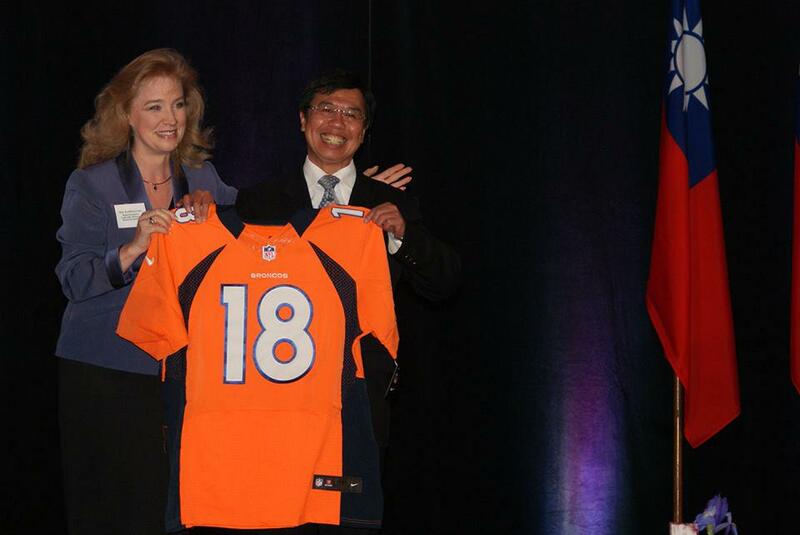 Representative Kathleen Conti (R-Littleton) presents a Peyton Manning jersey to Taipei Economic and Cultural Office (TECO) Director Gen. Yang at the grand opening of the new TECO Denver headquarters. Representative Tim Dore (R-Elizabeth) standing next to the Republican float at the Elizabeth Stampede Parade. Representative Jon Keyser (R-Morrison) stands with the governor after his bill, Senate Bill 206, was signed into law.